The sky was a dull grey. A full moon shone, scattering faint silvery rays throughout the tranquil forest. From the crystal clear lake, one could hear the croaking of frogs. Fireflies were dancing throughout the forest. The scene was like a fantasy from a children’s fairy tale. This place was the Moonlight Forest, also known as the ‘Land of Eternal Rest’ by players. The moment Shi Feng arrived at this place, the first thing he did was take out an Isolation Scroll. Immediately, he activated the magic contained within the scroll. The dazzling magical runes written on the scroll came rushing out, and Shi Feng’s body suddenly became blurry. If looking from a far distance, it was very hard to notice Shi Feng’s existence. Each Isolation Scroll cost 40 Copper Coins. It was practically the entire fortune of an average player. Although the price was high, its effects were remarkable. The Isolation Scroll could greatly decrease a player’s sense of presence, making it hard for surrounding enemies to discover them. The scroll had a duration of half an hour, and it was a must-have tool when exploring dangerous areas. Although it was not as effective as an a.s.sa.s.sin’s Stealth, it was better than nothing for Jobs that did not possess Stealth. When the Isolation Scroll was used, within a 30-yard radius, players would not be easily discovered by Common Monsters below Level 15. Unless, of course, said player was courting death and attacked the monster. Following which, Shi Feng infiltrated the forest. He headed towards the central region of the Moonlight Forest in search of Moonstones, wanting to remove the hateful curse even a little faster. The Moonlight Forest was a Level 9 monster area. Its location was not in Star-Moon Kingdom, but an isolated s.p.a.ce. Every City had a Teleportation Gate directed towards the Moonlight Forest. In Shi Feng’s previous life, over 90% of the Level 9 players in G.o.d’s Domain would grind for treasure here. However, even if a player were already Level 10, the place would still ma.s.sacre them. That was because the monsters here usually stayed in groups of three to five, and they possessed powerful skills. A single misstep could cause a party-wipe. Even so, players would still persevere, rushing to their deaths over and over as if they were possessed. As a result of the constant deaths, the Moonlight Forest was referred to by others as the Land of Eternal Rest. Meanwhile, the reason these players would persevere to such a degree was mainly that the monsters here dropped Gemstones. Moreover, the drop rate was relatively high. The number of Treasure Chests here was also high. As long as one found a Treasure Chest, there was an 80% chance to obtain Gemstones. Gemstones were very valuable in G.o.d’s Domain. The reason being, they were able to increase the Attributes of a piece of equipment. Depending on the color of the Gemstones, the Attributes they increased were also different: red increased Strength, yellow increased Agility, blue increased Endurance, purple increased Intelligence, and green increased Vitality. A Tier 1 Gemstone could increase an Attribute by 2 points. However, such an amount must not be belittled. A piece of Bronze Equipment could have one Gemstone embed into it, whereas a piece of Mysterious-Iron Equipment could have two Gemstones into it. If every piece of equipment worn by a player were outfitted with Gemstones, a number of acc.u.mulated Attributes would be very terrifying. That was why the demand for Gemstones was extremely great. The prices of Gemstones would always remain high, causing many players to take the great risk of farming Gemstones at the Moonlight Forest. Moreover, there were various resources such as ore, herbs, rare food materials, and so on in the Moonlight Forest. However, the most well-known part about the Moonlight Forest was still the fifty-man Dungeon, the “Sleeping Fortress,” that resided there. The Dungeon was also the location to exchange Card Sets. However, only after the Dungeon had been cleared by a team, would players of the same Area be allowed to enter the Dungeon to exchange their Card Sets. However, Shi Feng’s current goal was not the Card Sets, but the Moonstones. The Moonstones could only be found in the core area of the Moonlight Forest. Only, Shi Feng could not help but be careful when taking action. Not mentioning the extreme dangers found in the Moonlight Forest, Shi Feng was just Level 3 right now, and he was entering a Level 9 monster area. If he were to die an accidental death, then the 200,000 EXP he collected would be for naught, and he would have to start collecting it all over again. He had yet to reach Level 10, so he could not activate the Teleportation Gate found in Cities. If he were to die, his only choice was to return to Red Leaf Town; if he wished to return to this place, his only choice was to collect the required experience. Currently, Shi Feng was far behind the leading experts regarding level. It would be an absolute nightmare if Shi Feng were to die once and have to collect another 200,000 EXP. Just after entering the forest, Shi Feng could see Level 9 Shadow Leopards hiding either up in the trees or in the bushes, each of them prepared to ambush their foe. If it were not for the Isolation Scroll, Shi Feng would have long since been discovered. Shi Feng naturally wasn’t an opponent for a Level 9 monster, so he could only avoid them. Besides, his goal here was not to kill monsters, and even more so, there was no need for him to pick a fight with the Shadow Leopards. Shi Feng carefully circled the Shadow Leopards, one after another. After spending more than an hour doing so, he arrived at a wide and towering forest made of stone. In this stone forest existed a group of battle maniacs called Mountain Beast Fighters. They were a group of tenacious warriors that did not fear suffering. The thing they loved most was battling, and the fiercer, the better. At the same time, they were also guarding a large pile of treasure, and amongst the treasure was the rarely seen Moonstone. However, the entire stone forest was filled with these armored, gigantic creatures. Wielding a spiked club the height of two people, these creatures patrolled the stone forest, preventing anyone from entering. If Shi Feng were to set foot in the stone forest, there was a 100% chance for him to be discovered. At that time, a group of those Mountain Beast Fighters would come rushing over, and a swing from each of those spiked clubs would easily turn Shi Feng into meat paste. “Looks like I can only clear the way slowly.” After searching for half a day, Shi Feng still could not find any safe way to penetrate the heart of the forest. His only choice was to kill his way there. Shi Feng could not help but admit that the difficulty of an Epic Quest was indeed very hard. This was just the beginning, yet he was already required to face off against the Level 9 Mountain Beast Fighters. He did not know what kinds of challenges he would meet further down the line. Fortunately, he was very familiar with the terrain of the Moonlight Forest. He knew many methods to deal with the Beast Warriors before him. The Mountain Beast Fighters were abnormally powerful, and their attacks were out of the ordinary. Even Shield Warriors and Guardian Knights of an equal level were unable to take more than a few hits from them. However, their bodies were enormous, resulting in their Movement Speed being relatively slow. In Shi Feng’s previous life, there were many Elementalists who used Frost Arrow to reduce their speed. They then utilized the unique terrain of the stone forest to avoid the attacks from the spiked clubs, kiting and killing the Mountain Beast Fighters. Following which, this stone forest became a holy ground for ranged players. Mountain Beast Fighters could be seen being kited through various means throughout the stone forest. Although Shi Feng did not possess any speed reduction skills, he could use other methods to supplement it. As for kiting the Mountain Beast Fighters, he had the rare skill, Defensive Blade, which could increase his attack range by quite a lot. Shi Feng did not believe that a Sword King expert, such as himself, could not beat a Level 10 Elementalist regarding utilizing the terrain to dodge attacks. After properly observing the terrain, Shi Feng ran practice simulations in his mind a total of five times. Carrying out mental simulations would have a tremendous effect during actual operation. Hence, every expert would often carry out mental simulations of the operation before actually taking action. The reason why experts were experts, was because of the preparations they made were much greater than others. There would often be many average players who would admire the experts in G.o.d’s Domain. They would lament over their own skills being poor, determining that they would never be able to reach the level of these experts. In reality, however, they did not know how great of an effort these experts were putting into each day. The suffering these experts went through each day far exceeded the average player. It was the reason why they could shine brilliantly. After running through the simulations, Shi Feng took out a Black Steel Beer and a Speed Scroll. The Black Steel Beer could reduce a monster’s level by 2. In addition to the Attributes of the Abyssal Blade, Shi Feng would not be suppressed due to the level difference, even when facing a Level 9 monster. He would be able to deal damage normally. As for the Speed Scroll, each one of them cost 25 Copper Coins. It increased the user’s Movement Speed by 25% for a duration of 10 minutes. This scroll was a lifesaving item when out in the wilderness. Shi Feng bought a total of twenty of them just for such occasions. If the average player were to learn about this, they would definitely curse Shi Feng as a spendthrift. Such an item would only be used when one was in a life or death crisis. Meanwhile, Shi Feng used it for killing Common Monsters. It was just too extravagant. If Shi Feng were not cursed, he could easily kite these monsters, just based on his Attributes. However, his Attributes were now reduced by 50%. The suppression was just too great, so it was safer to use a Speed Scroll. If Shi Feng were to mess things up, it would not just be a matter of losing a level. He would have also wasted 200,000 EXP. Shi Feng took a deep breath, relaxing his body as he looked towards the closest Mountain Beast Fighter. Following which, his two feet exploded with strength, rushing towards the Mountain Beast Fighter. Normal attacks range increased by 10 yards after use. Able to block up to a maximum of 6 ranged attacks or 3 melee attacks. Duration of 25 seconds. 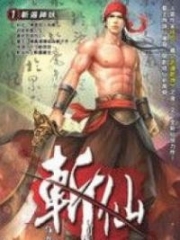 You're Read Reincarnation Of The Strongest Sword God Chapter 63 - Mountain Beast Fighter online at NovelOnlineFull.com. You can use the follow function to bookmark your favorite novel ( Only for registered users ). If you find any errors ( can't read,broken links, can't load photos, etc.. ), Please let us know so we can fix it as soon as possible. And when you start a conversation or debate about a certain topic with other people, please do not offend them just because you don't like their opinions. You're reading Reincarnation Of The Strongest Sword God. This manga has been translated by Updating. Author(s): Lucky Cat. Already has 8238 views. Current Time is 19-Apr-2019 01:02:46 AM.